So I feel bad I know I’ve been MIA forever and I must explain, I am an avid reader and if something really catches my attention it consumes me until I finish it; occasionally this happens with series of books, so then it seems like I’ve fallen off the face of the earth. I recently watched the series “Game of Thrones” on HBO which then lead to the books, all five of them 🙂 needless to say I highly recommend them but now that I have finished them I am back and I promise not to be so negligent again … well, at least until the next book comes out. I know I have been promising to take you to the coast forever, with the sweltering heat lately I thought we needed some visual relief so today, for the next couple of posts I am making good on my word. Recently I spent an afternoon and night in Corpus Christi and these are a few pictures from that adventure. 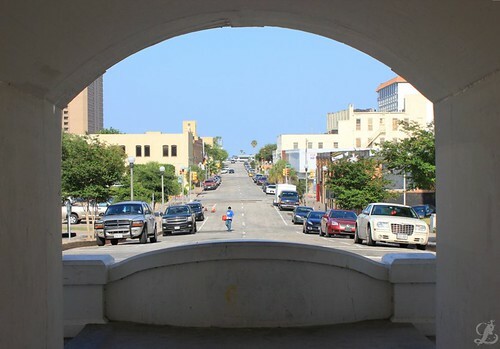 Usually I pass through Corpus on my way to Port Aransas but I was in town for a short while so I decided to share some of it with you. 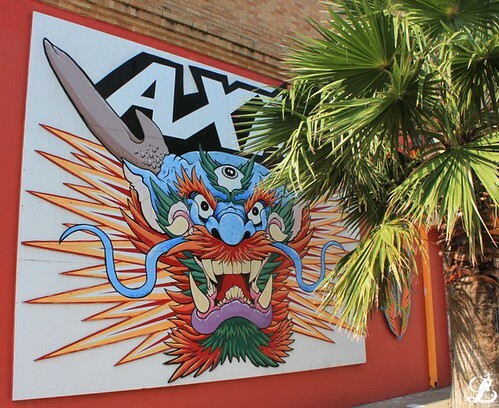 These first few shots are some artwork that was posted outside of a tattoo studio that was down town. 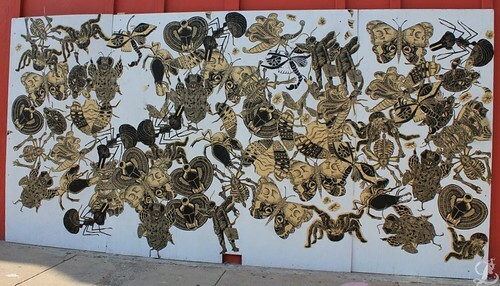 I thought it was cool that the artists chose to advertise by displaying some of their artwork on the side of the building. 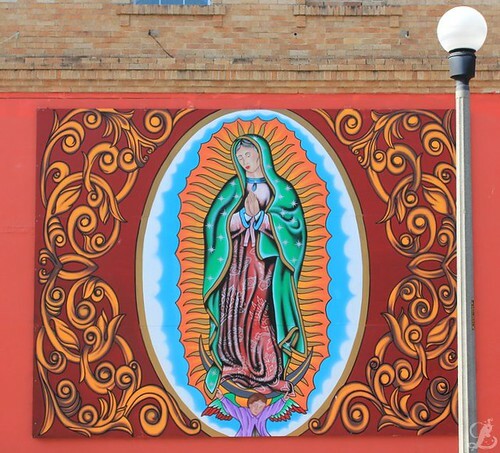 This first picture is Nuestra Señora de Guadalupe, an icon often seen; I could do a whole blog post about her alone but for now I will say she will always remind me of my Grandmother. I have a thing for Dragons, many people say I myself am one (even though according to Chinese Astrology I am actually a Water Ox) but I thought this Dragon’s third eye was an interesting addition. This caught my eye because I thought it was a surf board design, upon closer inspection I realized it is not and it was probably just the shape that made me think that. BUGS!!! This piece reminded me of M. C. Escher. 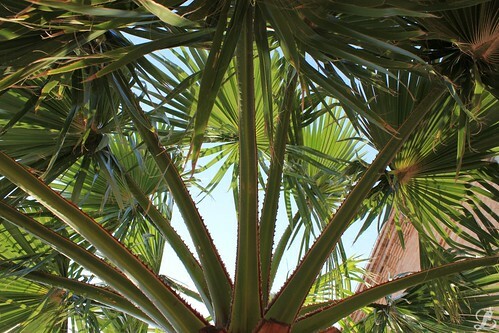 I have this thing for looking up at things, one of my favorite things to look up at is Palm fronds; I will at some point in time spend a whole day looking up at a Palm tree just to humor myself. The point at which it seems the street just ends is actually where the bay begins, so only three blocks away was the water. 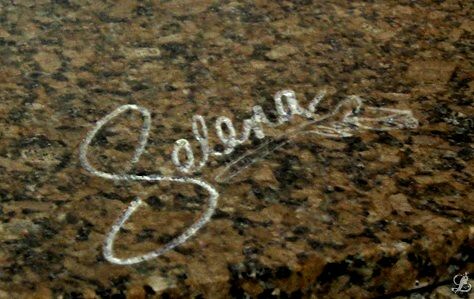 If you are going to cruise through Corpus often it is necessary that at some point you stop by the Selena Memorial, which I happened to do at 2:30 in the morning but I thought the dark shots came out cool. She was a very talented young lady who was taken from this world too soon. 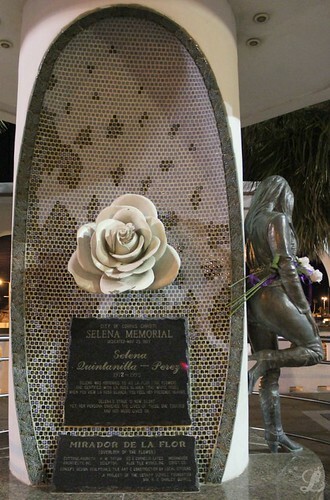 Mirador de la Flor (Overlook of the flower), one of the biggest hits was Como la Flor which the memorial is themed for and as you can see someone has given her fresh white roses. 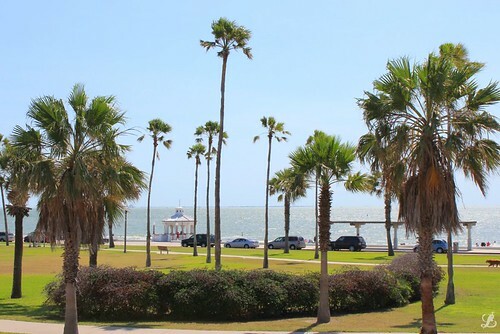 I was only in CC overnight and this is Corpus Christi Bay mid-morning, in the distance you can see our next destination. Tomorrow we head out to the Island. This entry was posted on August 4, 2011 by LahainaLaura. It was filed under Como la Flor, The Republic of Texas .